Pure, creative inspiration demands respect. I’ve learned you can only leave the door open, and it will knock when you’re ready to be a good student. I’ve had some pretty amazing moments of inspiration this year, but one stands out to me. In August of this year, we were having some unusually wet weather. 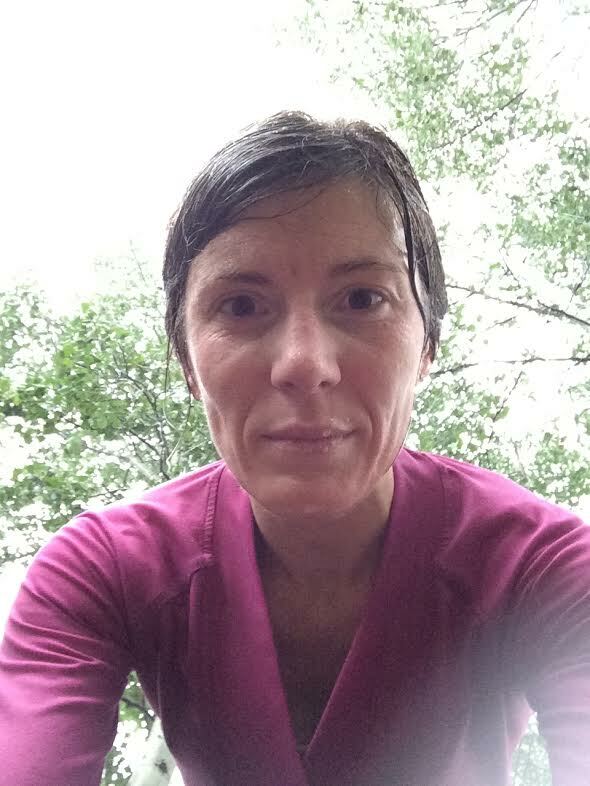 I love to run, and one Saturday I noticed a break in the rain and decided to take advantage of it. I threw on my shoes and headed out. The break didn’t last long, and I soon found myself running in sheets of cool rain. It didn’t bother me. It felt healing in a strange sort of way. The low clouds felt like they were hugging me, and the deafening sound of rain made the world quiet. I climbed hills, looped around the bottom of a canyon, and popped back out of the tree line along some fields. 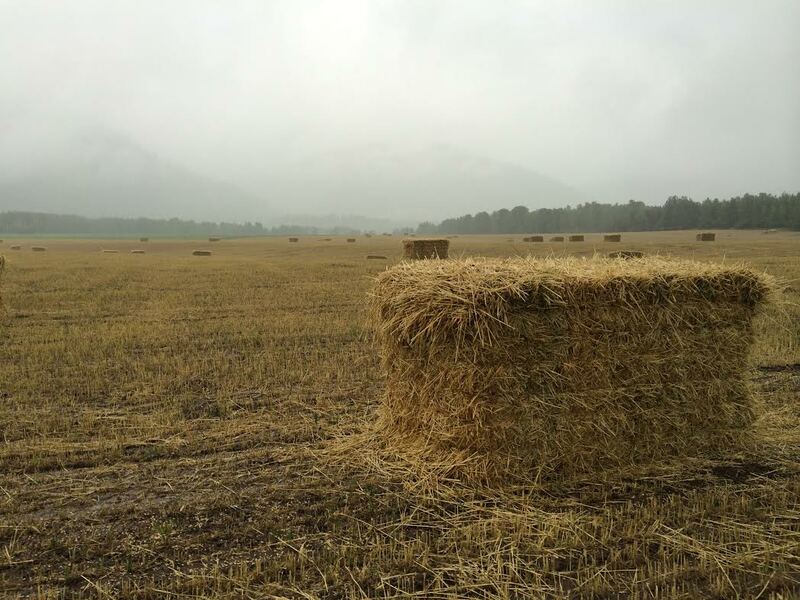 Hay bales scattered over the entire field. I’m sure the farmers weren’t happy about their hard work getting ruined, but I was had to stop and appreciate what I saw. It was too beautiful. The rain became more intense. The harder it hit me, the happier I became. I was literally spitting rain as I ran into the field and snapped some photos. 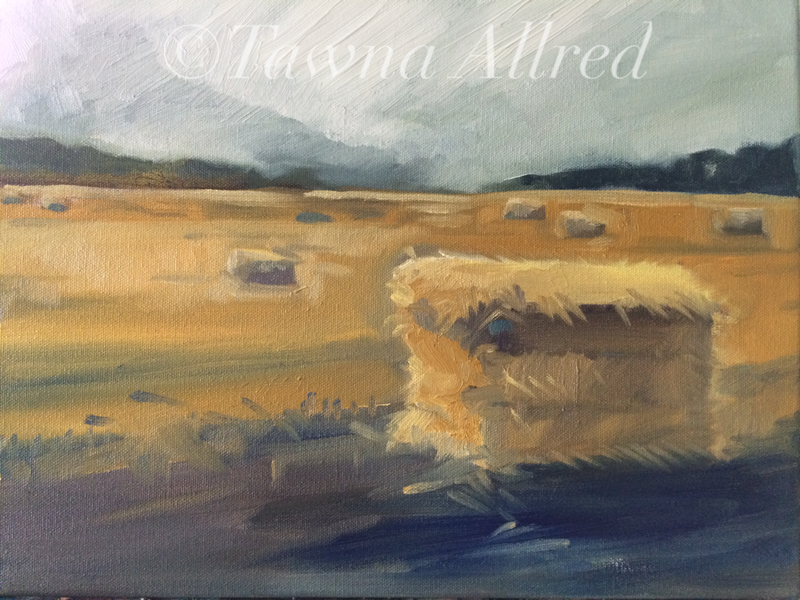 Drenched and thrilled, I raced home and pulled out a canvas. I had to capture everything I felt in that moment. Because I was so full of wonder and excitement from my run, the paint went down (almost) effortlessly. What about you? What happened on your most inspiring day?